Terry Rafih, right, said he was interested in a trio of Bernie Moreno's stores in Ohio. 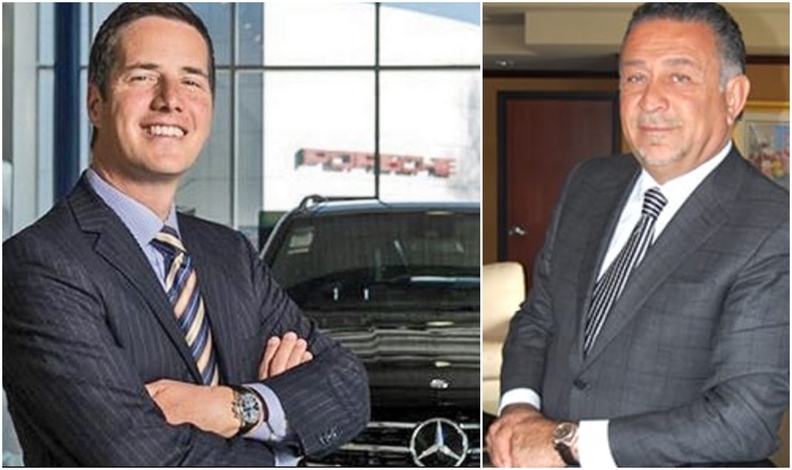 Terry Rafih, CEO of Rafih Auto Group, said he had wanted to come back to the U.S. market after selling two Mercedes-Benz stores on the East Coast a few years ago. So, he bought three stores in nearby Ohio last month. The East Coast stores were too far from his Windsor headquarters, and he received attractive offers for both, he said. Rafih said he was interested in a trio of Bernie Moreno's stores partly because they were near Rafih's headquarters. Cleveland is less than 320 kilometres — about a three-hour drive — from Windsor. The deal closed in late March with Bel Air Partners in Hopewell, N.J., handling the sale for Moreno. Terms weren't disclosed. With the acquisitions, Rafih's dealership group now has 22 rooftops, with a range of luxury and domestic franchises in Windsor; London, Ont. ; and the Toronto area. He said the auto group is open to acquiring more U.S. stores, particularly luxury brands or certain domestic franchises in the Midwest. "If the right opportunity came, we're definitely looking," he said. Meanwhile, with the sale of three luxury dealerships in Northeast Ohio last month, longtime dealer Moreno is largely exiting the dealership business. Moreno, who two years ago had 10 stores and planned to focus on luxury makes, is keeping just two dealerships after Rafih Auto Group acquired Mercedes-Benz of North Olmsted, Porsche of North Olmsted and Cleveland Motorsports, which sells Rolls-Royce, Bentley, Maserati, Aston Martin and Lotus vehicles. Moreno, president of Bernie Moreno Cos., sold most of his dealerships over the past few years because he wants to focus more on his technology-related companies. "For me, the car business was less fun than it was when I started in the car business 20 years ago," Moreno told Automotive News last week. Moreno will keep Buick-GMC of Beachwood in suburban Cleveland and Infiniti of Coral Gables in Florida.